K-9 cops, those loyal and fearless dogs who fight crime with their police officer partners, put their lives on the line every day. They bravely chase criminals and dodge bullets, doggedly following their mission to protect and serve. Unfortunately, sometimes they are injured or killed on the job. When that happens, for their police officer partner and companion, it's like losing a member of the family. 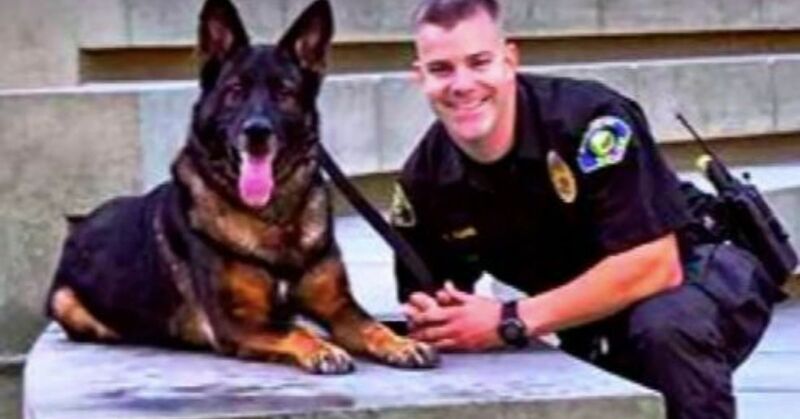 K-9 Officer Bruno of the Anaheim Police Department in California had such a close call, and his partner, Officer R.J. Young, was there to support him through his ordeal. 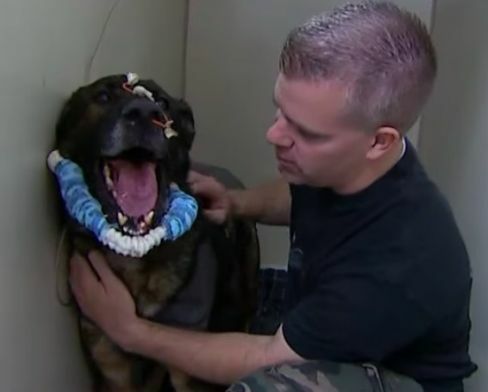 While in pursuit of a suspect, Bruno jumped into the line of fire and took a bullet point blank to the head. The bullet tore into his body, shattering his jaw, narrowly missing his heart and lodging in his lung. He was rushed to the animal hospital where life-saving emergency surgery was performed. Throughout Bruno's ordeal, his partner was there for him. When Young learned that his faithful partner would not be able to return to duty, he did not abandon him. Instead, he adopted him into his own family. "He's like a son to me," Young said. "Bruno will be with me for the rest of my life."